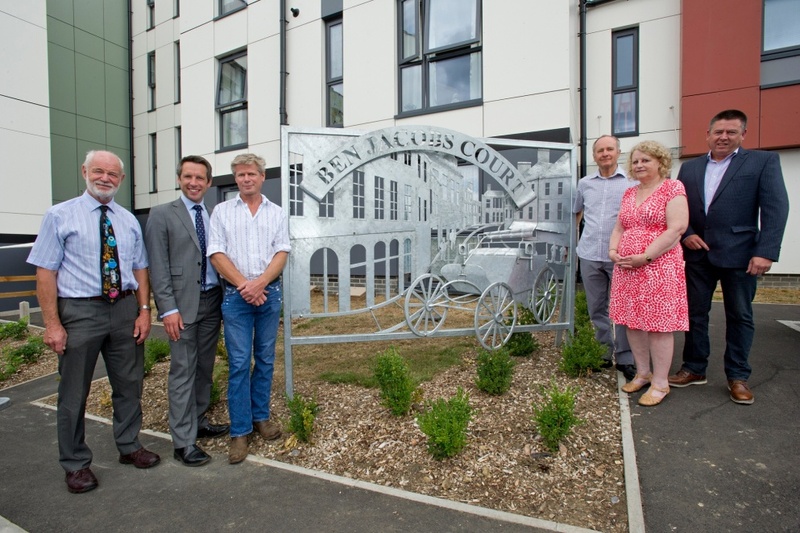 As part of its commitment to creating a ‘sense of place’ in its developments, Stonewater commissioned local artist Simon Ridley to design and create a wrought iron public art piece for Ben Jacobs Court. The art depicts the first ‘horseless carriage’ – the first UK motor car with an internal combustion engine – built by engineer Ben Jacobs and the Petter family in Yeovil in 1895. 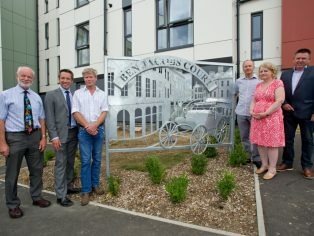 The development has been named after Ben Jacobs with members of his family, including his great-granddaughter, Diana Marlow, present to see the artwork unveiled at the official opening.